Remove Your Front License Plate Holder For Only $1! If you’re like me, you hate front plate holders on cars that weren’t designed to have them. They throw off the look of an otherwise clean design. But then, you can’t just remove the holder because then you’re just left with ugly holes! You’re stuck with the awful thing! Or, are you? 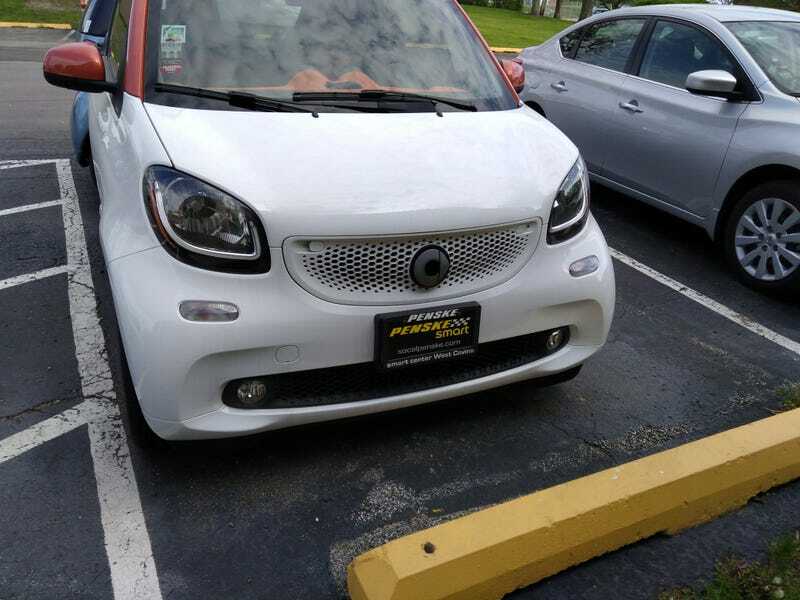 A few weeks ago when I bought the first parts for the Rallyfortwo (btw, going to be big progress on that this week) I also decided to get rid of the thing I disliked the most about Phil, his front license plate. Part of it was observational, a lesson I learned with Tucker: Over time that holder is going to dig into the bumper and cause irreversible damage. That’s what happened to Tucker, and I regret not doing this to him! Now, apparently this is already a thing. You can remove your front license plate holder then fill the holes with something called a “Bumper Plug”. There’s even a site that sells them! However, that site has some insane prices for what are effectively painted pen caps. What if we were to make our own? Enter your local Lowe’s or The Home Depot. They have these little things called “Hole Plugs” which are the same things you’ll get from Bumper Plugs, but insanely cheaper. I picked up two “natural” coloured 1/4" plugs for an out the door cost of $1.07 or so. Step 1: Remove your license plate holder, any standard screwdriver should do the job. Observe those sweet holes there. We’re going to need to drill these suckers out, sadly. Step 2: Grab a 1/4" drill and slowly drill out the holes. Try to make sure the bit doesn’t create a raised surface like the above picture. I achieved this by drilling slowly at first to create the larger holes, then going full speed to clean them up. Step 3: Take your hole plugs, stick them in! If you want, you can paint them in the colour of your car (the hole plugs typically only come in white, black, or sometimes brown) for whatever the price of a cheap touchup pen from Autozone or something, but other than that you’re good to go! If you used the right sized drill the hole plugs will fit in incredibly snug and shouldn’t come out.